The new York EMC Services comb generator emitter (CGE01) was developed for the evaluation of shielding effectiveness for small enclosures. The CGE01 is a broadband comb generator emitter and differs from continuous output emitters. 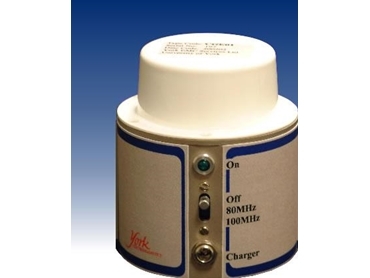 The CGE01 has an output spectrum from 100MHz to 18GHz in step sizes of 80MHz or 100MHz. The unit is battery powered, so that it can be operated as an independent source without the effect of cables, which would modify the fields generated. An LED indicates when the battery power is low. The CGE is housed in a plated metal cylindrical enclosure, thus ensuring uniformity of the field and can be orientated to give vertical or horizontal polarisation.